The Expert Logger 400 is Delphin‘s new generation of data loggers. It combines the latest communication technology with advanced measurement technology and is based on FPGA technology to make it especially powerful. It can process up to 16 analog input channels at both low and high rates of sampling. Measurement data can be accurately acquired, independently stored and transmitted to the internet or a PC for evaluation via USB, LAN, WLAN or LTE. 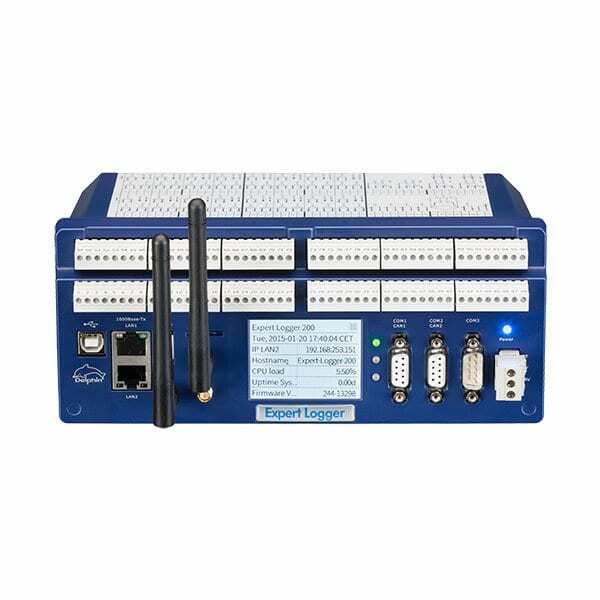 The Expert Logger 400 is simple to configure from a PC. These settings remain stored within the Expert Logger even when disconnected from the power supply. 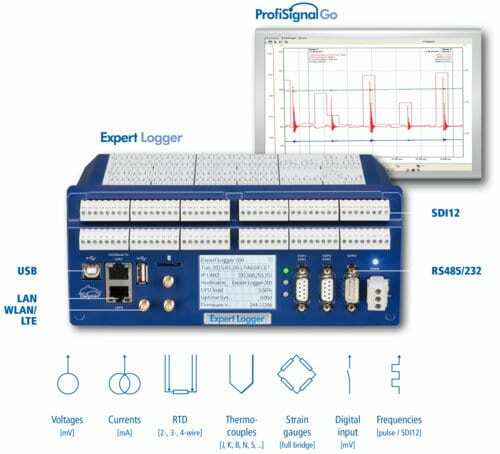 The device settings can also be read out and stored on a PC and analyzed offline without the need for a connected Expert Logger. The offline configuration settings are then simply read into the device when connected. The software used for configuration is simple to operate to let users fully focus on their measurement tasks. Signal processing using internal software channels significantly simplifies measurement tasks. Flexible calculation channels enable measurement data to undergo further computation and recording. Integrators directly calculate volumes or quantities from time-related measurement data such as mass and discharge flow rates. Limit values can monitor measurement data and be used to switch digital outputs or automatically send emails. Complex signal processing is possible using pulse counters, stop-clock functions, and operating-hours counter. Averages can be calculated and recorded as time-weighted or moving. The Expert Logger‘s software channels clearly set it apart from other loggers and make it very popular among users.